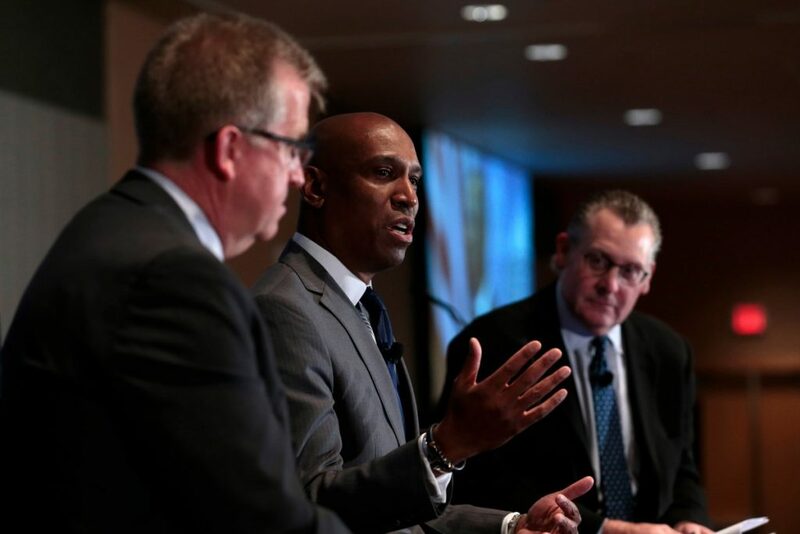 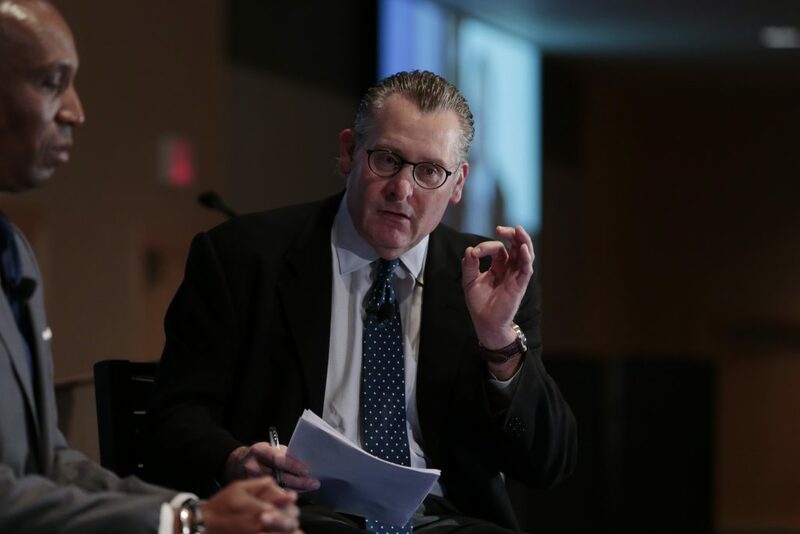 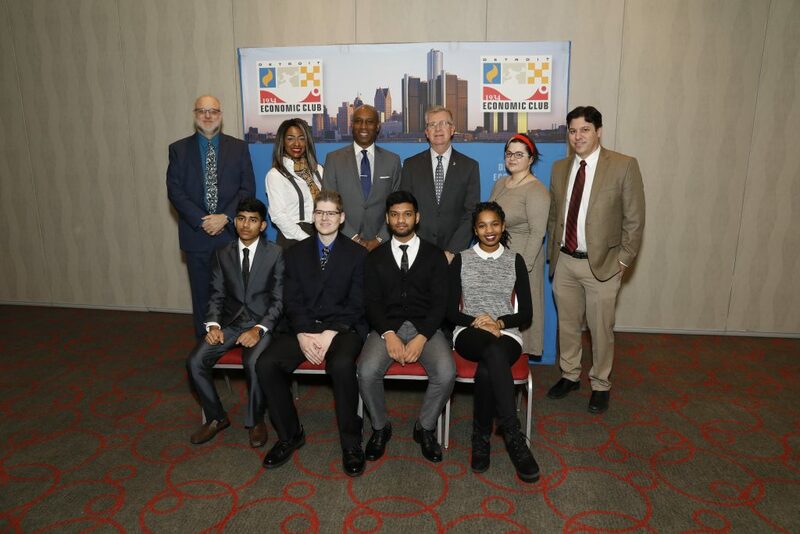 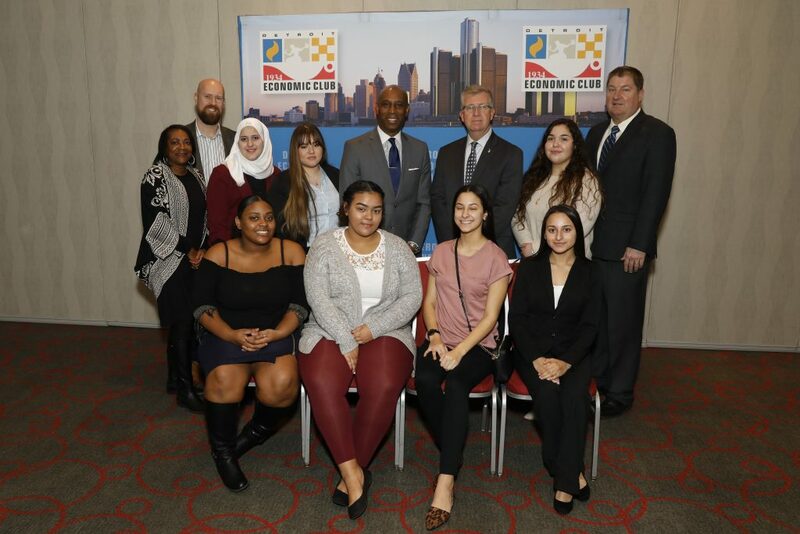 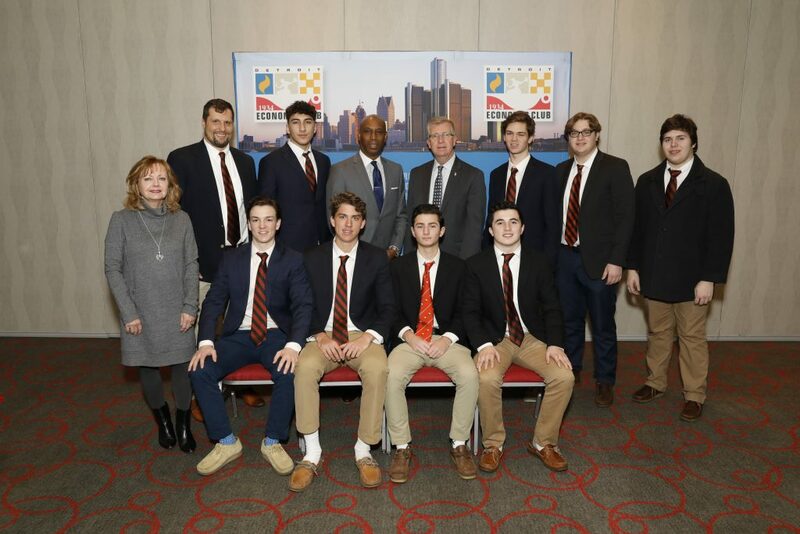 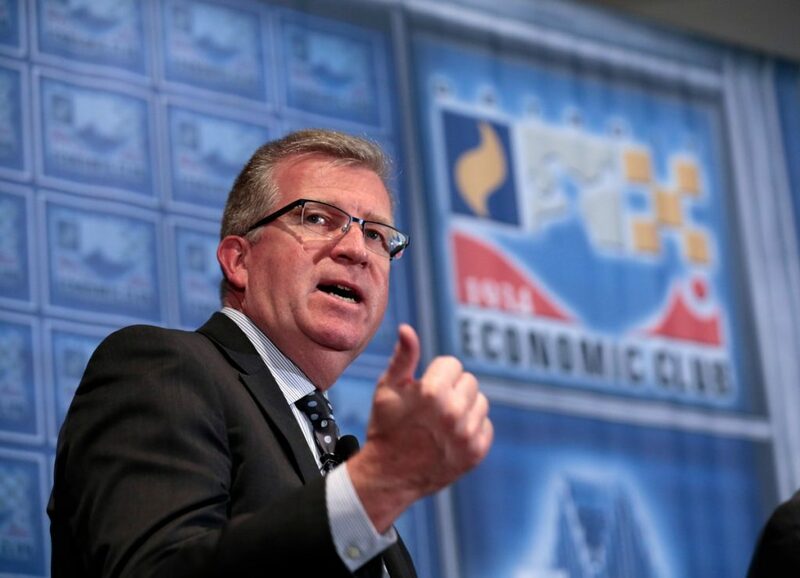 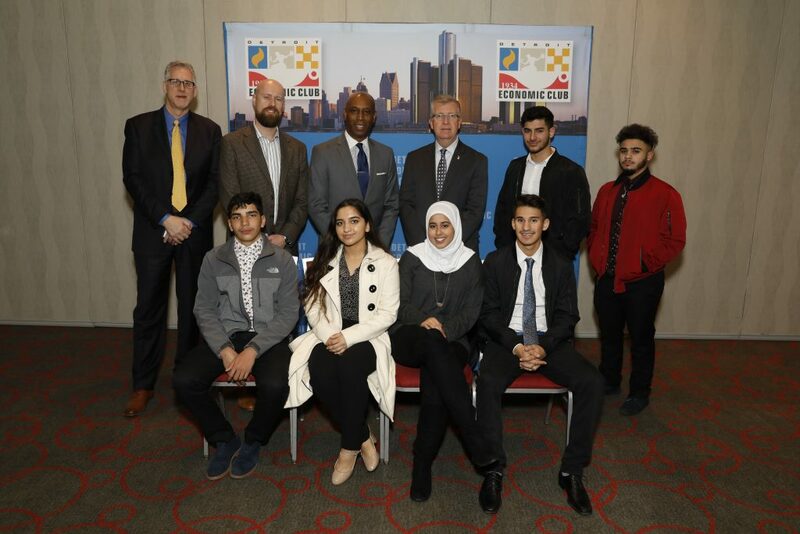 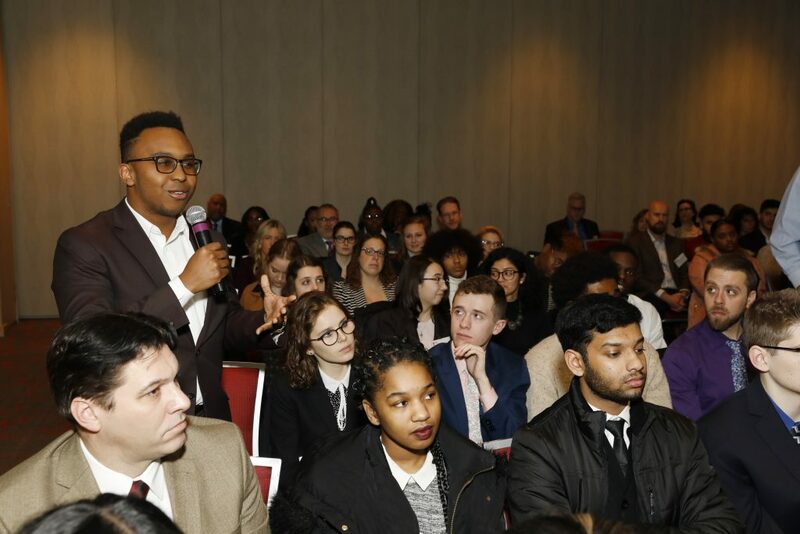 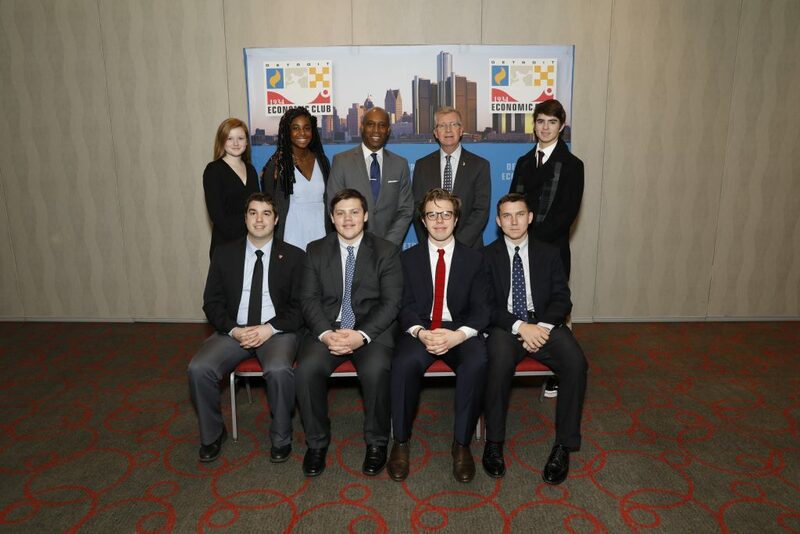 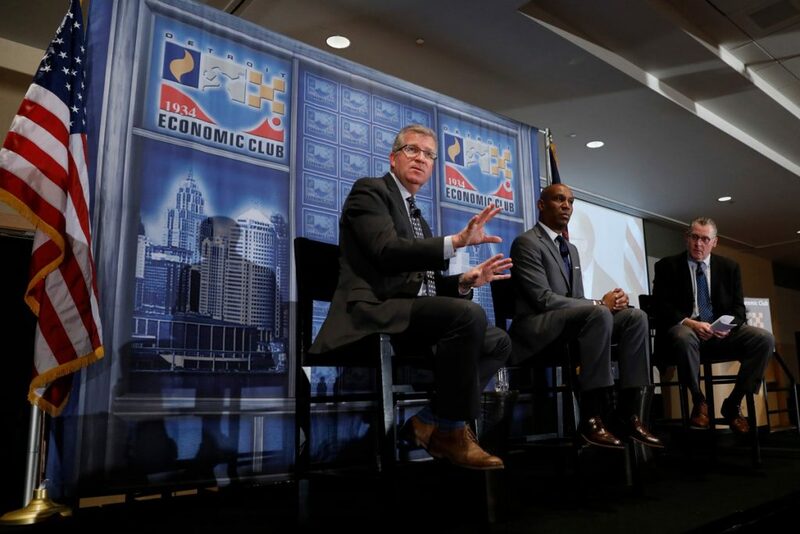 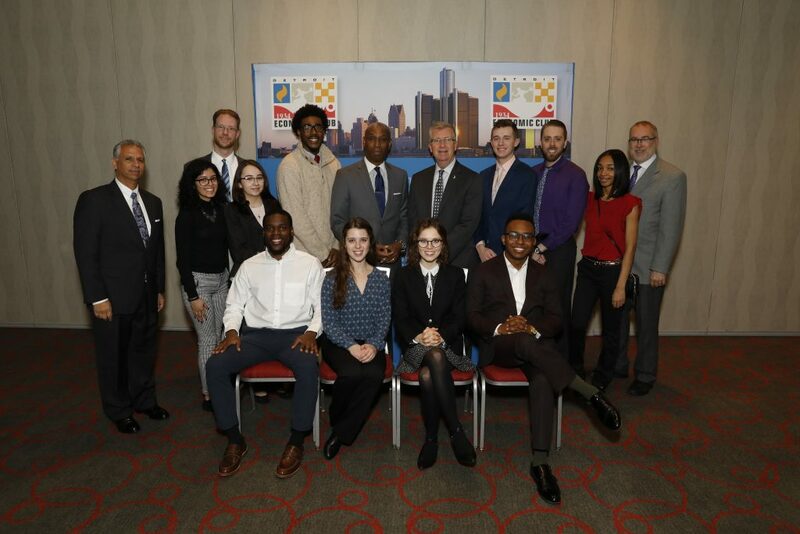 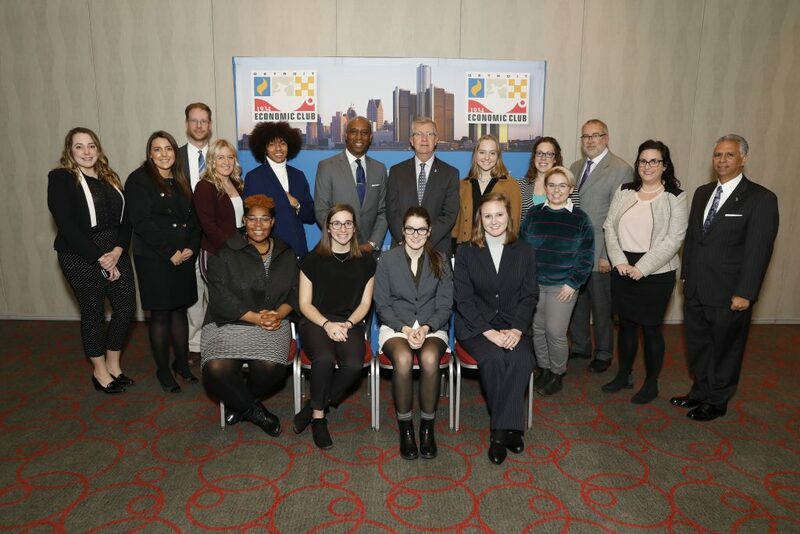 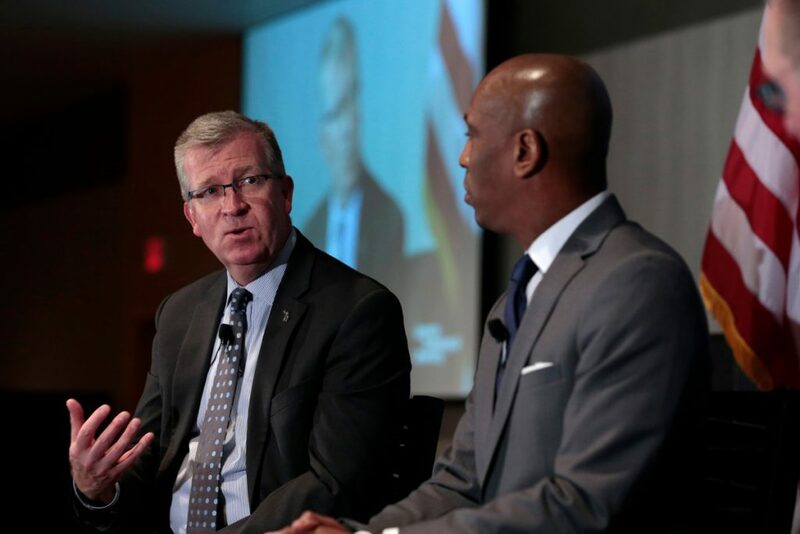 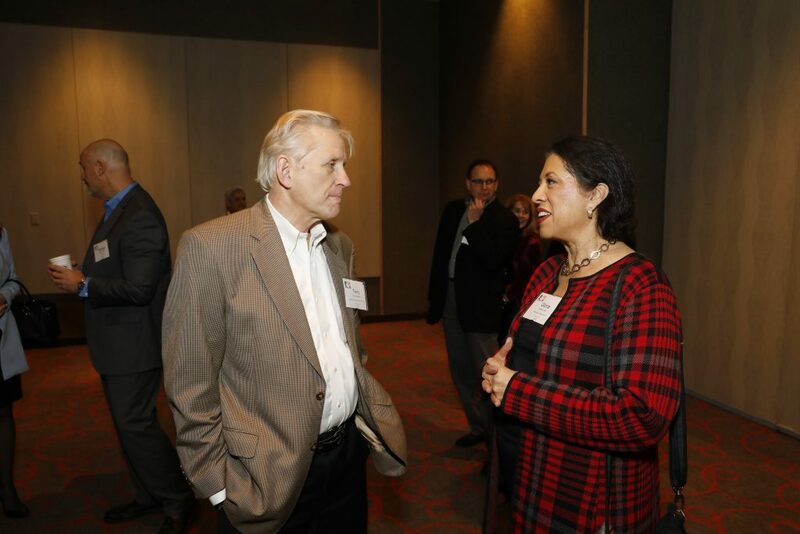 On January 8, 2019, MEDC CEO Jeff Mason and Detroit Economic Growth Corporation President & CEO Kevin Johnson shared their thoughts on Michigan’s economy. 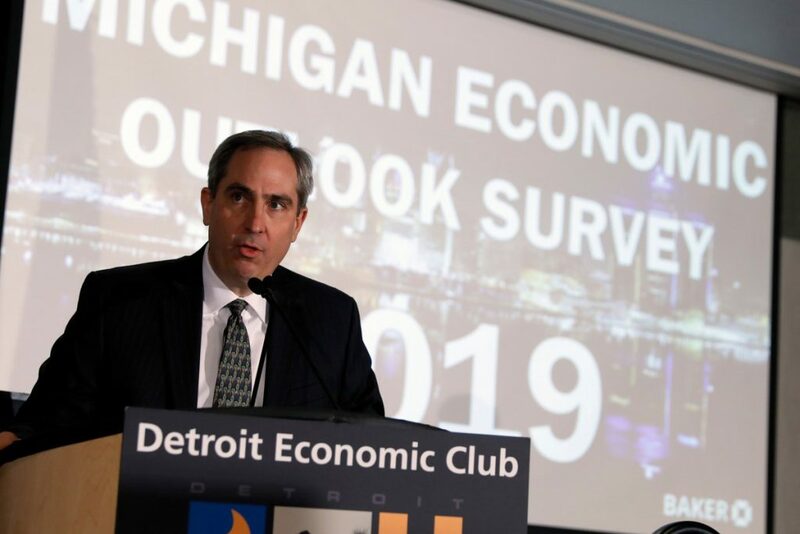 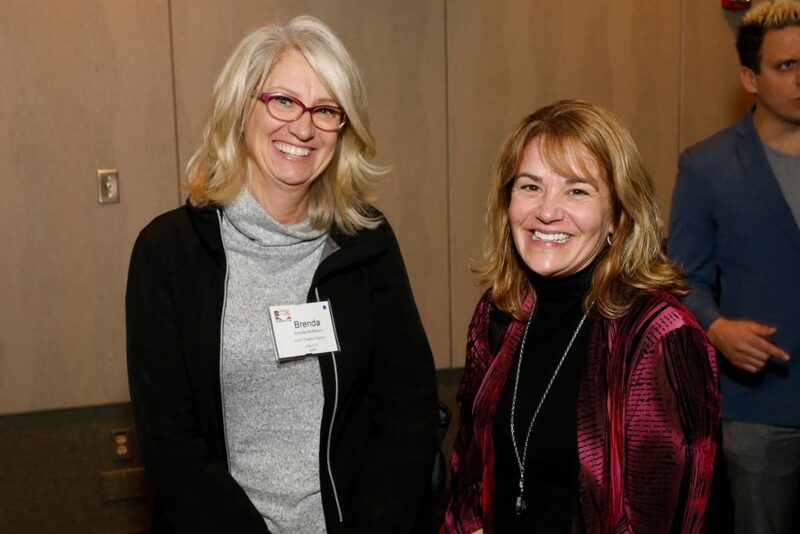 Prior to the discussion, results of the 2019 Michigan Economic Outlook survey were unveiled. 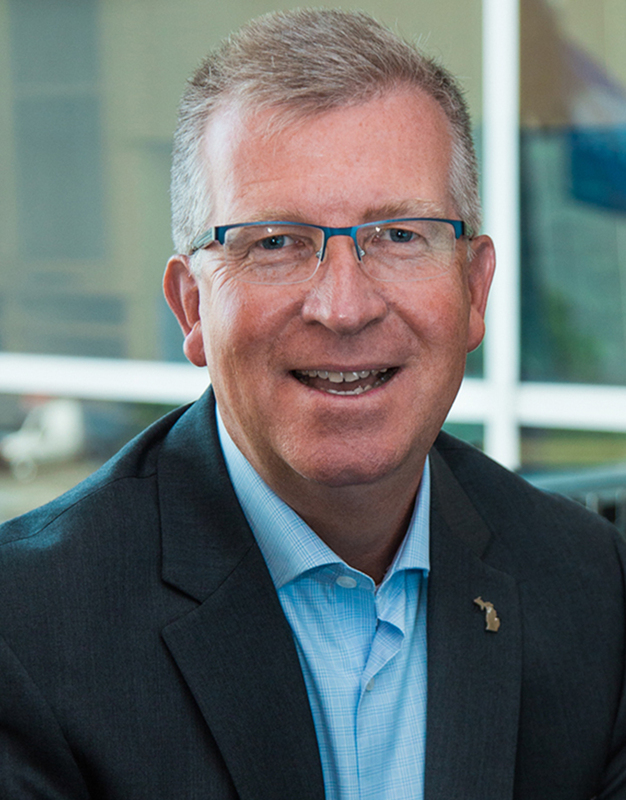 You can view survey results here. 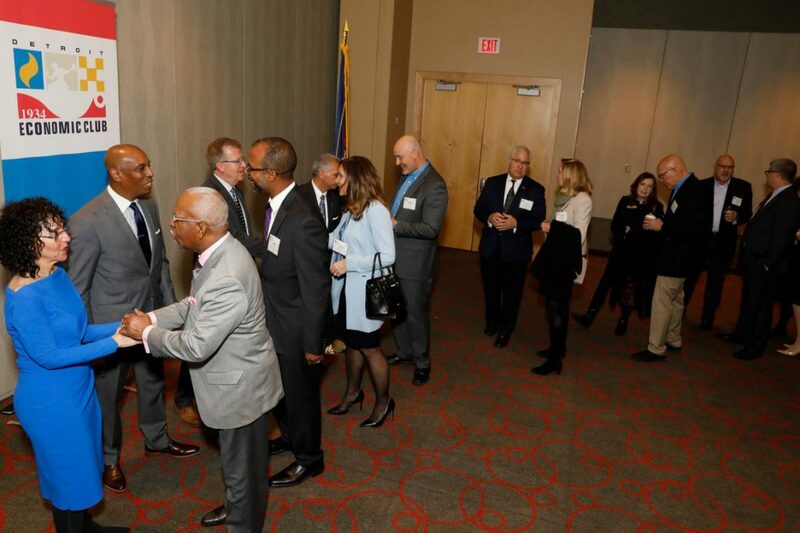 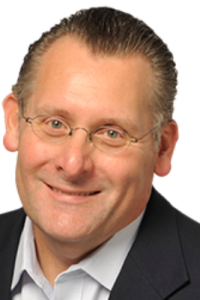 Prior to joining the URC as Executive Director, he served as Senior Vice President and Chief Business Development Officer for the Michigan Economic Development Corporation. 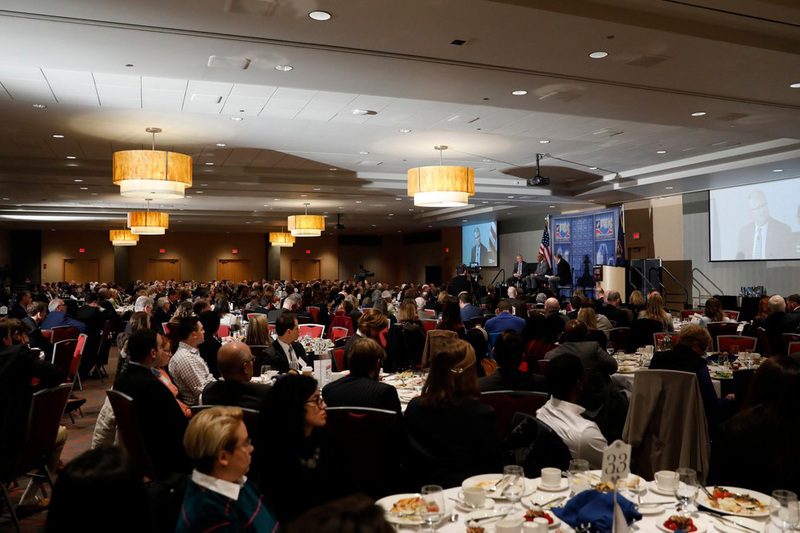 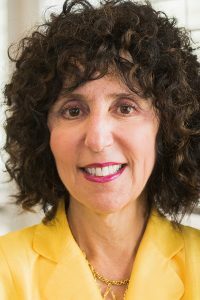 In that role, Mason led a team responsible for the retention and expansion of existing Michigan businesses as well as the attraction of national and international companies to Michigan. 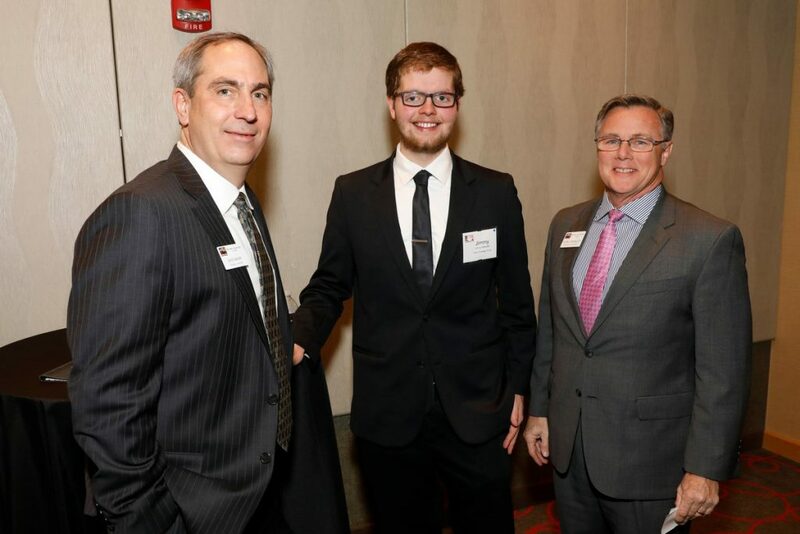 Before becoming Chief Business Development Officer, Mason headed up the Technology Development Group working to grow Michigan’s technology-oriented segments of our state’s economy. 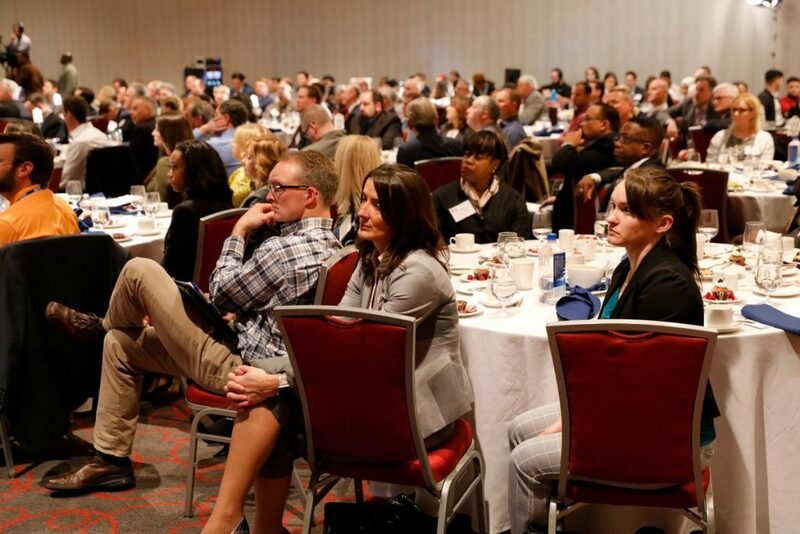 Technology Development was engaged in the areas of technology transfer and commercialization, venture capital, entrepreneurship, and business development. 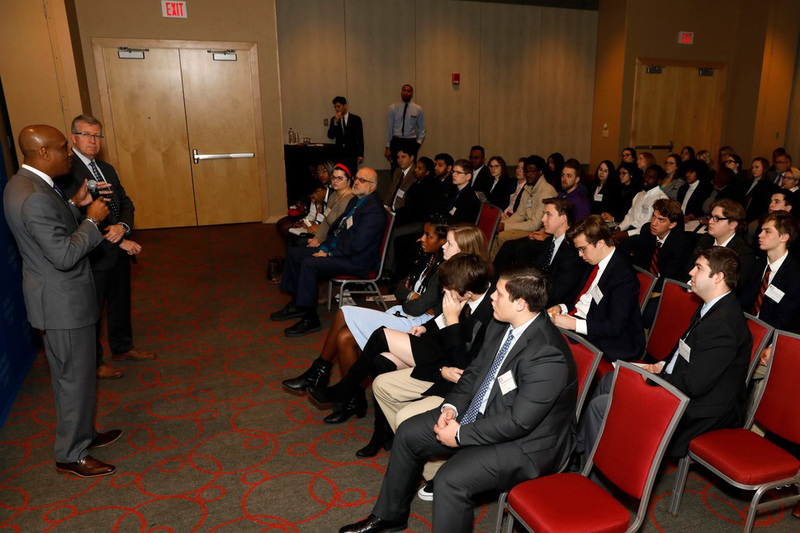 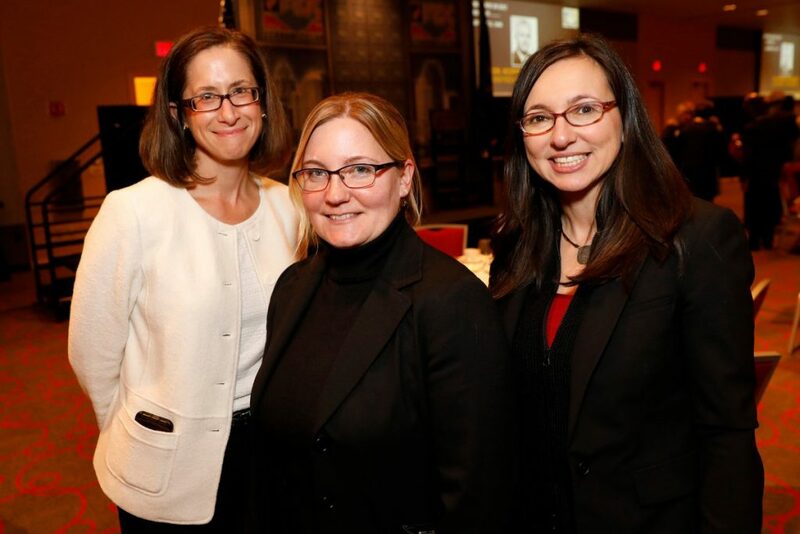 Their focus was in the sectors of life sciences, homeland security, and advanced automotive technologies. 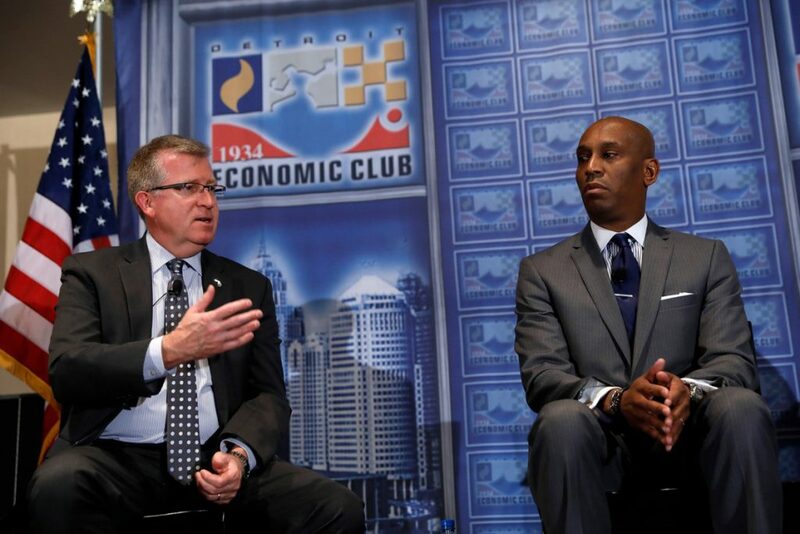 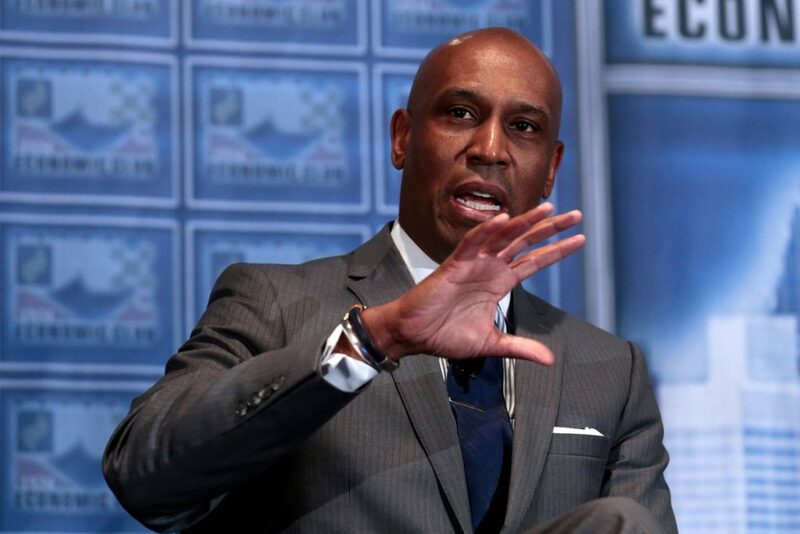 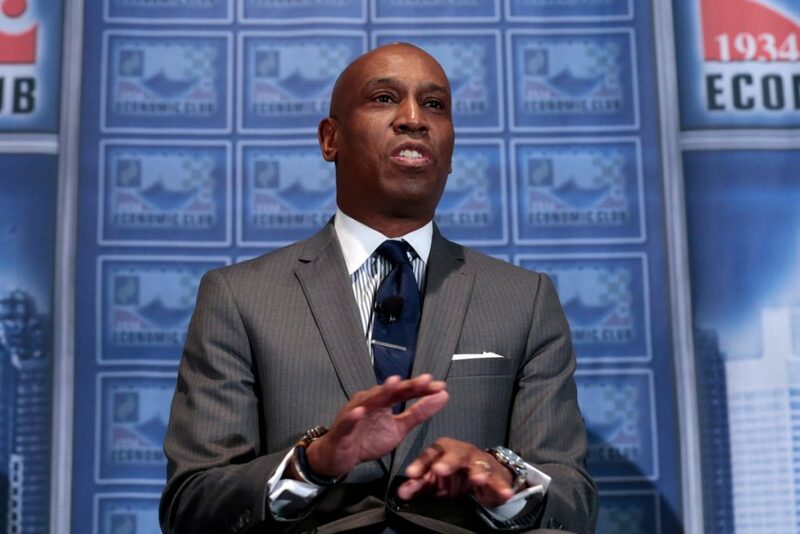 Kevin D. Johnson is the President and Chief Executive Officer for the Detroit Economic Growth Corporation (DEGC), the city’s leading economic development driver. 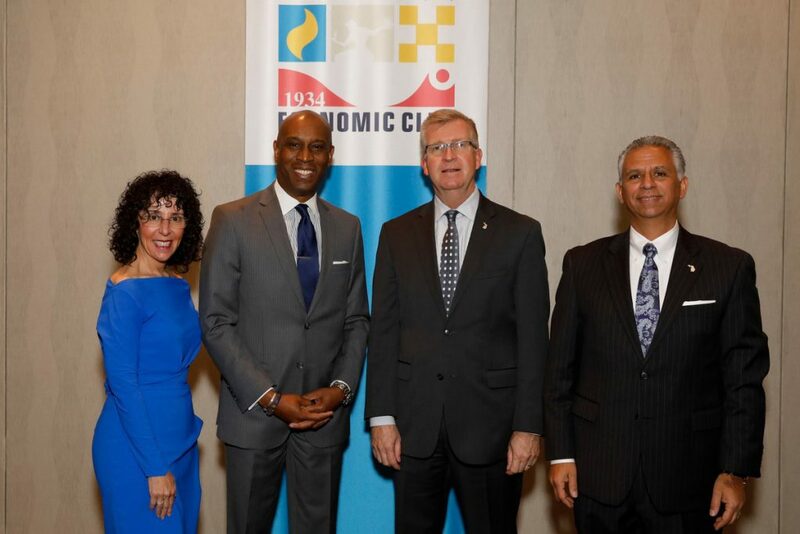 Under Kevin’s leadership, the organization aims to create 10,000 jobs, open 140 small businesses and secure $3.4 billion of capital investment for the city by 2020. 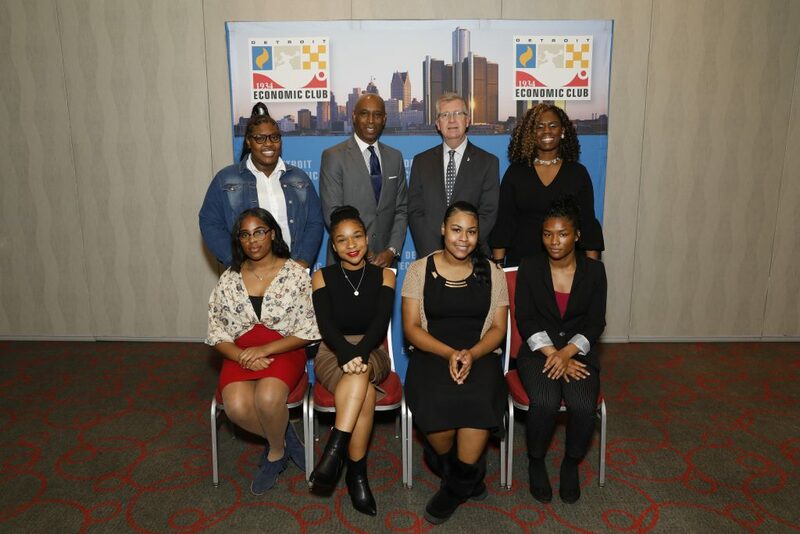 In this role, Kevin builds upon 40 years of economic development, leadership, and positive impact the DEGC has had on the city of Detroit. 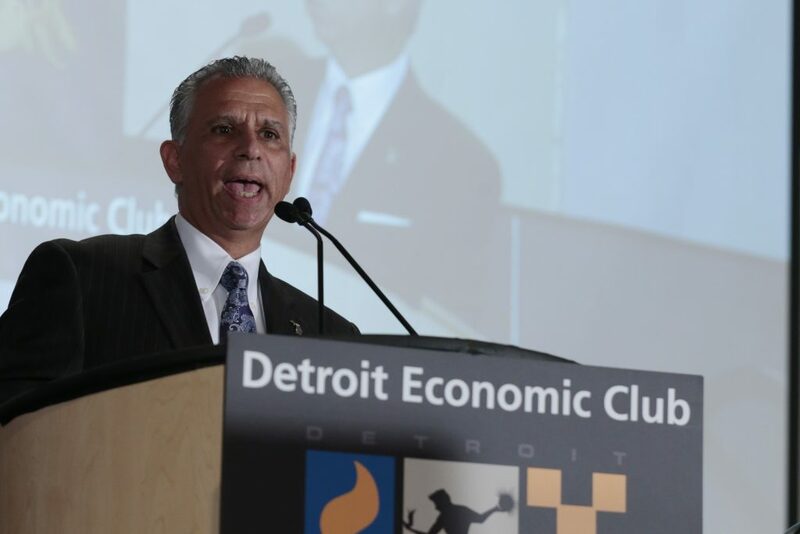 He brings a wide array of knowledge and experience to his new home in Detroit and will spearhead DEGC’s business economic development work, including business attraction and retention. 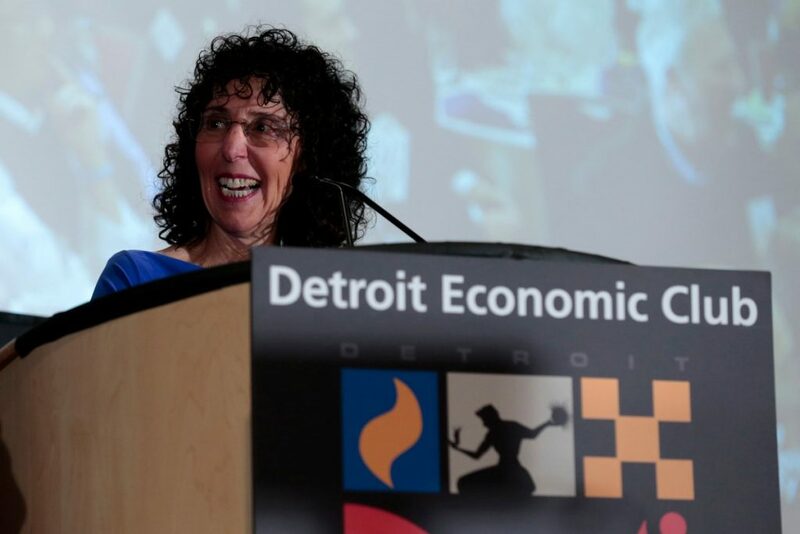 He will also be vital in leading key initiatives such as global commerce, support for Detroit entrepreneurs through the DEGC’s small business teams, and land development to unlock economic growth citywide. 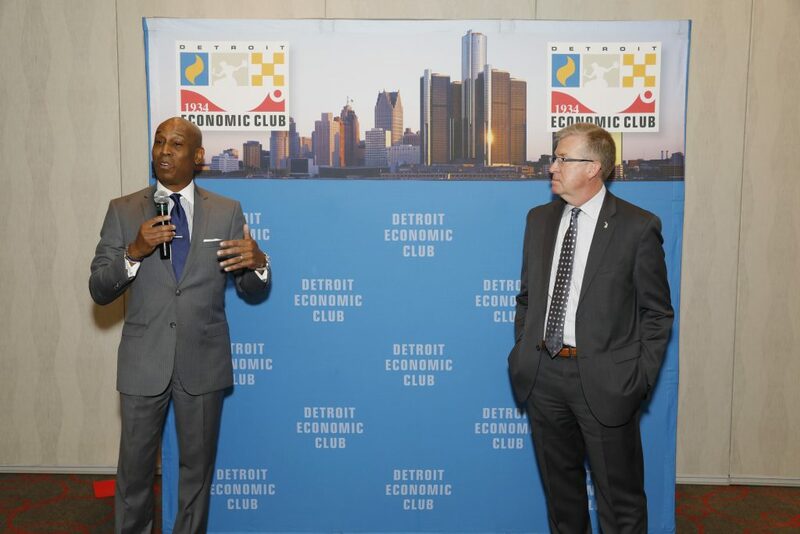 A veteran of economic development, Kevin has served in both public and private economic-development positions throughout the U.S., including roles in Arizona, Florida, North Carolina and Georgia, before coming to Detroit. 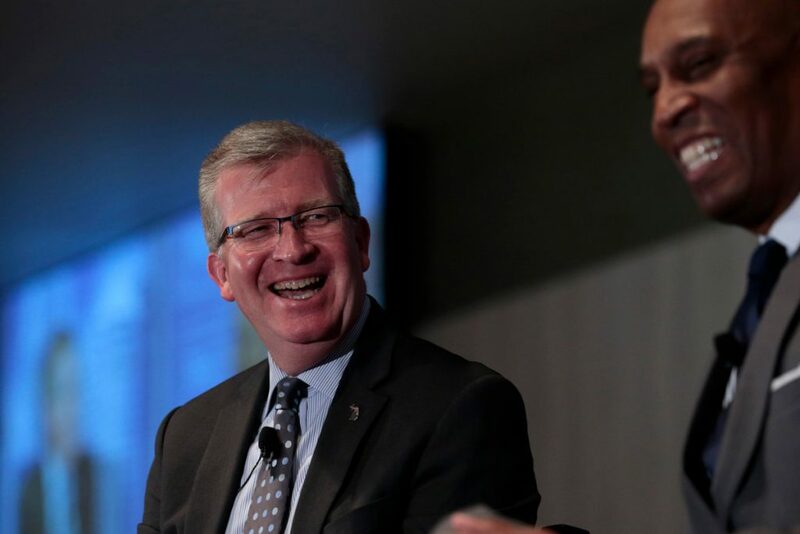 During his tenure at Invest Atlanta, Kevin led the economic development program for the city, helping to create nearly 31,000 jobs and generating $3.7 billion in new capital investment. 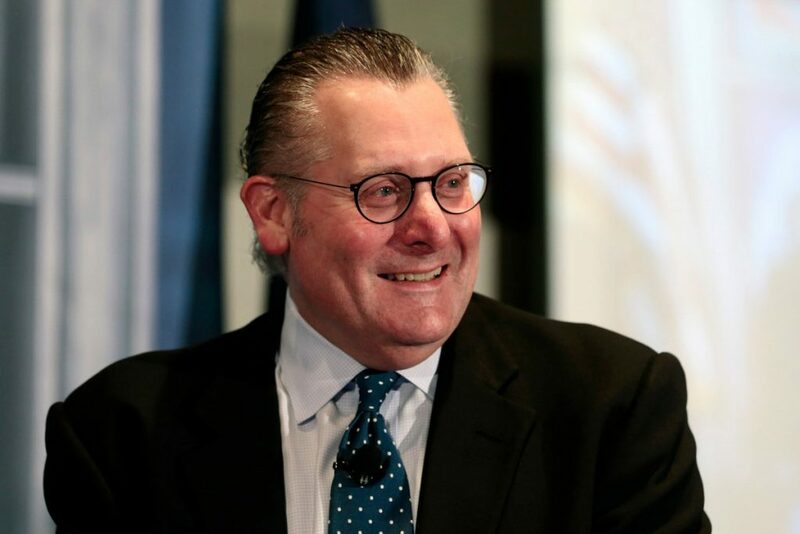 He also played a key role in bringing 17 new corporate headquarters to the city, including Porsche Cars North America, Groupe PSA, and NCR. 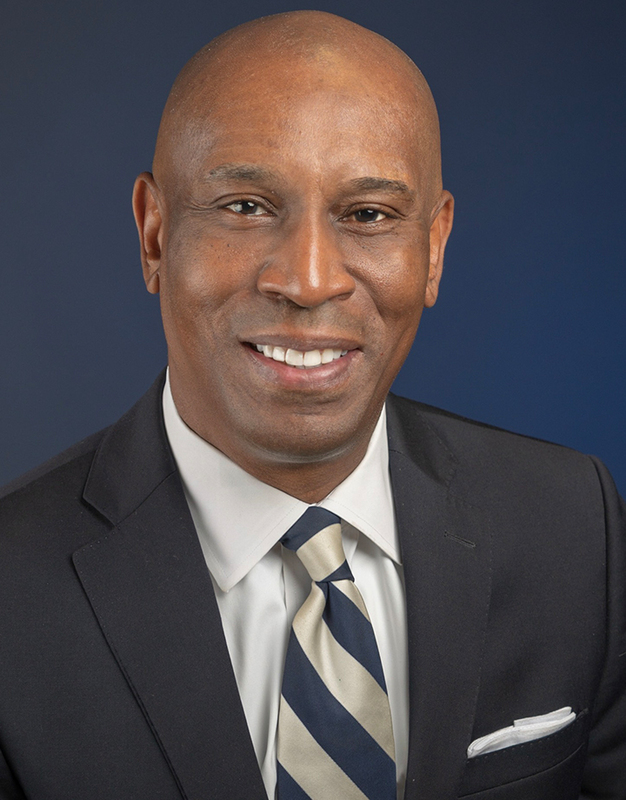 Kevin holds a Bachelor of Science degree in Political Science and Pre-Law from South Carolina State University. 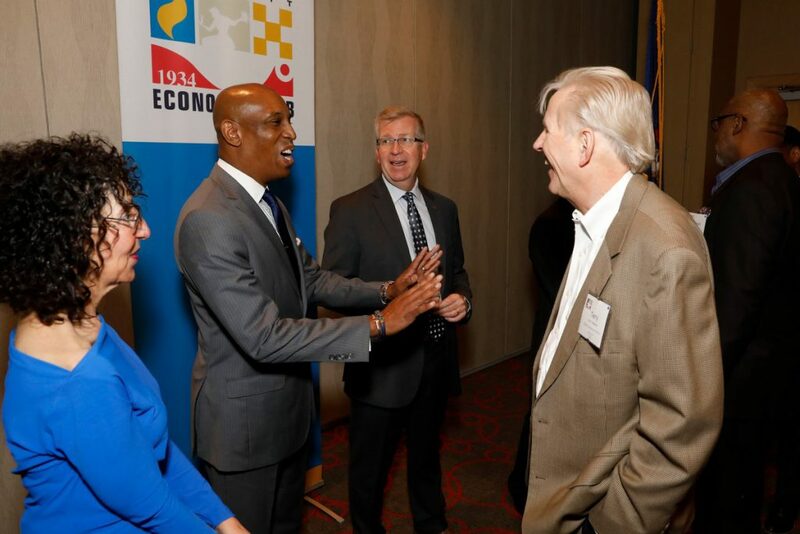 He received his Certified Economic Developer designation from the International Economic Development Council and has received numerous professional and community awards.